These are a few of the name tags that I made when we went on a family cruise. We surprised all the children. We sent them on a scavenger hunt and at the end, we had backpacks full of beach/cruise related items. These name tags were hanging from each of their bags. 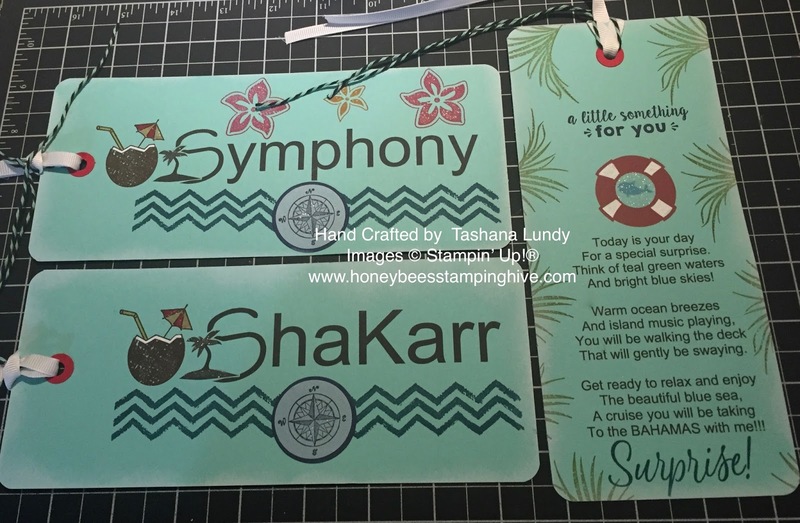 I used the old Stampin' Up! My Digital Studio to help create the wording and a few images. I found the poem online and just changed a few lines here and there. I don't know the author's name...the woman just said her granddaughter wrote it. The children were very surprised and excited.